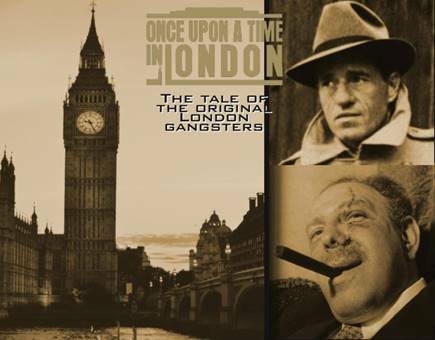 #BeenToTheMovies: Simon Rumley to shoot "Once Upon a Time In London"
Simon Rumley to shoot "Once Upon a Time In London"
Simon Rumley (Director of Red, White & Blue, Fashionista & Crowhurst) has begun a six week shoot on the brutal gangster thriller ONCE UPON A TIME IN LONDON for Gateway Films. Described as ‘Peaky Blinders meets Legend’, the film also stars Holly Earl, Dominic Keating, Geoff Bell, Jamie Foreman, Doug Allen, Andy Beckwith, Roland Manookian, Justin Salinger, Kate Braithwaite and Laura Carter. Joining the eclectic ensemble are comedian Simon Munnery, boxers Frank Buglioni, Steve Collins and Joe Egan, footballer Jamie O’Hara, singer / TV star Nadia Forde, Union J’s JJ Hamblett and magician Ali Cook. Director and co-writer Simon Rumley said today: "Having spent the last decade or so writing and directing thematically disparate but collectively extreme dramas, it makes absolute sense for me to progress to the gangster genre where love, lust, greed, paranoia, betrayal and violence are every day occurrences. The story of Jack Spot Comer, Billy Hill and their respective battles to become King of London’s Underworld has remained one of Britain’s most dynamic, thrilling and untold stories, but we’ll be exploring it in depth, with psychological dexterity and aiming to make it a unique viewing experience and a great British film."